Renowned fro its high performance levels, well crafted cabins, plush interiors and quiet rides, the the Lexus brand is a manufacturer of premium automobiles. As the luxury division of the Toyota Corporation, Lexus was established at the end of the 1980s. The first autos it developed were the LS 400 sedan and the ES 250. Lexus bolstered its model lineup in the 1990s, producing the GS 300, the SC300, and the SC400. The LX 450 and 470, and the RX 300 were brought out at towards the end of the decade. By the turn of the millennium, Lexus sales in America was over a million. From 2000 to 2010 Lexus went on to develop and manufacture hybrid models that are designed with a combined gas and electric power system. These systems are able to produce impressive horsepower, and fuel efficiency. Drivers are able to use the electric power to start the engine, accelerate and drive at low speed levels. Lexus hybrid engines create low emissions or greenhouse gases and air pollution. The GS 450h, the RX 400h, the CT 200h, the LS 600h and the HS 250h make up the list of the available Lexus hybrid vehicles. The company continues to offer reliable, well constructed vehicles with an abundance of style. Lexus is also well known for its top safety ratings, offering a long list of standard safety components including tire pressure monitoring, a comprehensive airbag system, remote alarm technology, automatic delay head lights, brake assist, xenon head lamps, airbag deactivation, mirrors with turning signals, stability control, whiplash reduction head restraints, and traction control. 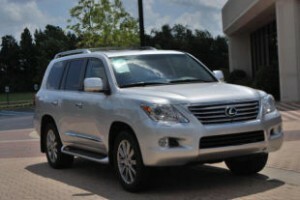 If you’re looking for a Lexus For Sale in Lynnwood, WA, come in and see us at Carson Cars. We’ve been proudly serving our community since 1968. If you need financing, we can help. We have a financing product for any credit score. We don’t want your credit rating to keep you from having the car you want. Call or email us today 425-697-6969.